Anyone that knows me, knows that I have a deep love for running and the city of Las Vegas. I did get married there, after all! When I saw that Vegas.com was sharing blogs about safely running in Las Vegas, I had to put one together. How could I not? When I get the chance to run in Las Vegas, well it might as well be heaven on earth for me! Here are a few tips for getting a safe workout while visiting Sin City! Running with a buddy is the best way to stay safe when you run. More than likely you are visiting Las Vegas with a significant other, best friends or your co-workers while on a business trip. Try to get one of them to join you on your run! Sight-seeing while on foot is always better with a friend. Plus you’ll want someone to take photos of you in front of those famous Vegas landmarks! Beat the crowds and hit the pavement early to enjoy all that Las Vegas has to offer. In my opinion the best time to run Las Vegas is early morning. You’ll have the entire Strip to yourself. You’ll also be beating the onslaught of afternoon heat which can be quite brutal. Sure, while usually sticking to running one road would be boring, that’s just not the case in Las Vegas! The Strip provides wide sidewalks with ample space for running, along with spectacular scenery. Many of the street crossings also involve stairs which will get your heart rate going! Even if you are running in the cooler part of the day, or temperatures don’t seem high remember that you are still running in a desert. Be sure to hydrate before you head out for your run and even take a bottle of water with you. You may be surprised how much more water you may need than when you are at home. If you can’t find a running buddy and don’t feel comfortable venturing out on your own, there are still plenty of ways to get in a workout. Many hotels in Las Vegas offer a workout facility for a small fee. If you don’t want to go that route, you can also do a workout in your hotel room using only your bodyweight; think push-ups, sit ups and squats! Happy 3rd Birthday Lunges, Long Runs and Lattes! Today marks the 3rd birthday of Lunges, Long Runs and Lattes! Seems hard to believe that three years ago this blog started with one simple post about running a half marathon in Las Vegas. At the time I had no idea that this blog would grow into a renewed passion of writing for me! I've been very busy in my personal life as well. In fact, my personal life has been so busy that I almost forget about this exciting milestone! It seems hard to believe but I have spent half of 2016 pregnant and am expecting our firstborn in the spring! With this new development the long rungs have been, well, non-existant and the lattes have been decaf! I have, however, still been doing lunges although it's a bit harder to maintain balance when I do them. 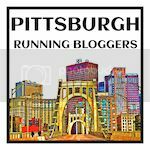 I did run the Pittsburgh Half Marathon this year in May and ended up setting a PR in the process. My running days have been put on hold since July but I'm still doing CrossFit in my pregancy. It' been a great way for me to feel strong and keep moving. I also got the chance to do some hiking in Utah this past spring which was amazing! I would not consider myself a 'hiker' but if you ever have the chance to visit the National Parks in this state, just do it! They are amazing! This past year I also published my second book of essays entitled, "Don't Forget Me". It's a continuation of my first book, "Don't Forget to Write". With two small books under my belt, I'm hoping to publish a much larger book of essays next year. Sometimes people ask me if I'm still writing my blog and while I am, I have been spending a lot more of my time writing essays and working on my fiction novel. It's a big task for someone who works full time but it's been a very rewarding experience! Both of my essay books were published in print this year, via the Createspace platform and, well, seeing your work in print is just the coolest thing! I'm looking forward to all the adventures that await me in my fourth year of blogging! My experiences are the past three years -good and bad- have certainly given me a new perspective which I think have served me well. I wish you a very Happy Holidays with your loved ones and am looking forward to 2017!